Discussion in 'Washington D.C.' started by Magoo, Sep 13, 2018. Sure makes me wonder whats the deal? He's already convicted and could do 10 years so Mueller does not need any deal. They have Trump now..Manafort cut a deal. Comrade Trump is going to have to whip out the extra strength orange skin dye and yellow hair dye. bubs and Magoo like this. 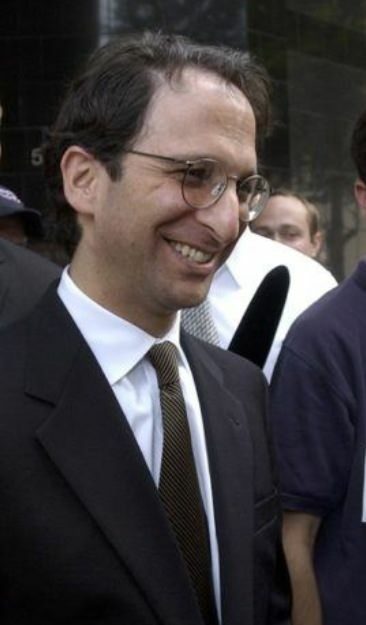 Sleazoid Andrew Weissmann is cutting the deal. Wasn’t this the tax case Mueller turned over to others? Read the banner on the bottom of the NBC Extra Special People Reporting! Just a white lie it’ll be ok lol! Wasn’t this the tax case Mueller turned over to others? icuicp, troubleman84, Magoo and 1 other person like this. LMAO... Manafort will be the left’s second coming if he says bad things about President Trump. Right now he’s in scumbag status but if he disses Trump he’ll be Abe Lincoln. One detail rarely spoken is Manafort’s business partner is Rick Davis who was John McCain’s main man. Just another one of those meaningless coincidences not worth reporting. SHHHH...He put as much thought and intelligence he could muster,with that post.Give him a break..
buffalobill and kantgetryte like this. So what do we have here, there is Papadopolus, General Gates, The other man named Gates who was Manaforts associate, Trumps ex attorney Cohen, and now Manafort himself. I'm sure there are others that don't come to mind. These people are receiving lenient sentences in exchange for telling us what they know. Mueller has them all lined up to present Congress with a irrefutable case against Mr Trump.. I expect it will be coming out soon. I think Mueller's target is to shame Congress into doing something, therefore the evidence will be thigh high. so this one gets you wondering how far the tentacles went out? All those other people aren't President of the United States right now. You had you chance to get them for years.